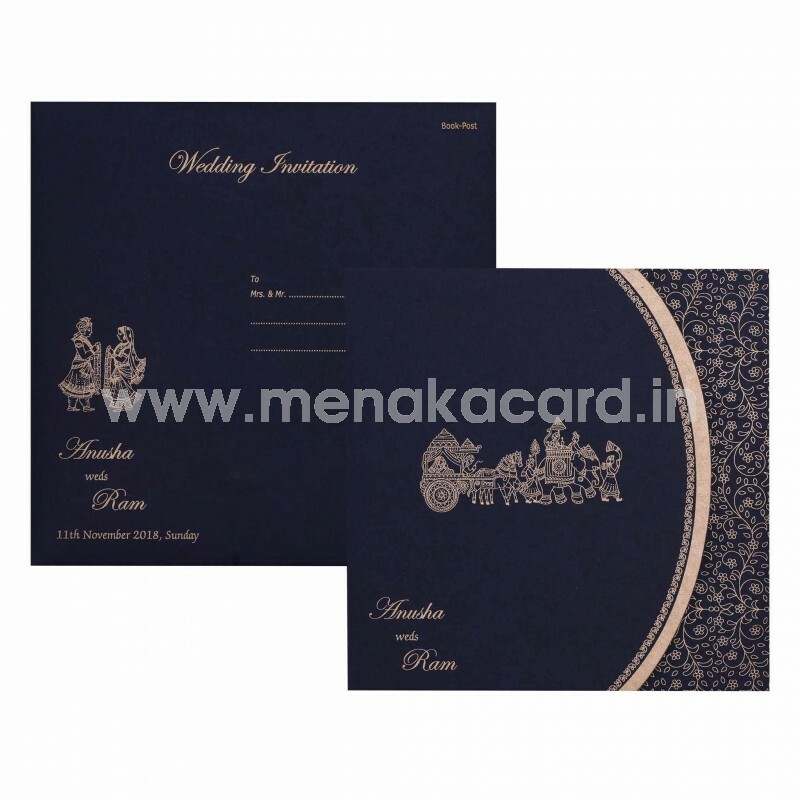 This Charming navy blue card is made from a vibrant handmade board and has a three-door folding. The main flap of the card has a beautiful traditional bhaarat logo illustrated in the centre with a pretty floral and solid stripe pattern printed on the die-cut arch. 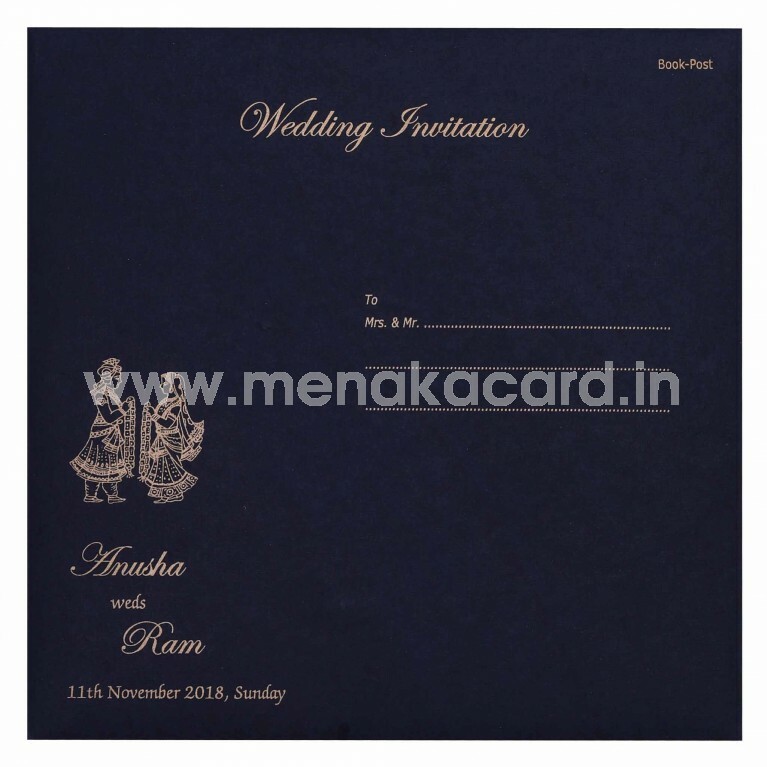 The lower flap has a delicate floral motif printed on it and holds the two off-white inserts made from a shimmer board and contrasting blue content, in place. 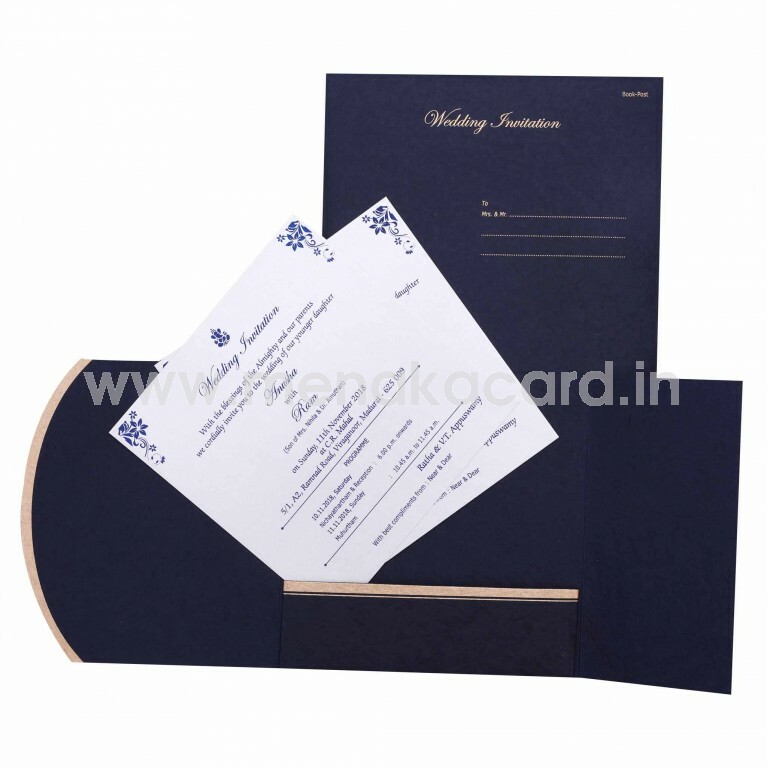 The envelope is a solid handmade board cover with the content printed on it in the same rich gold ink. 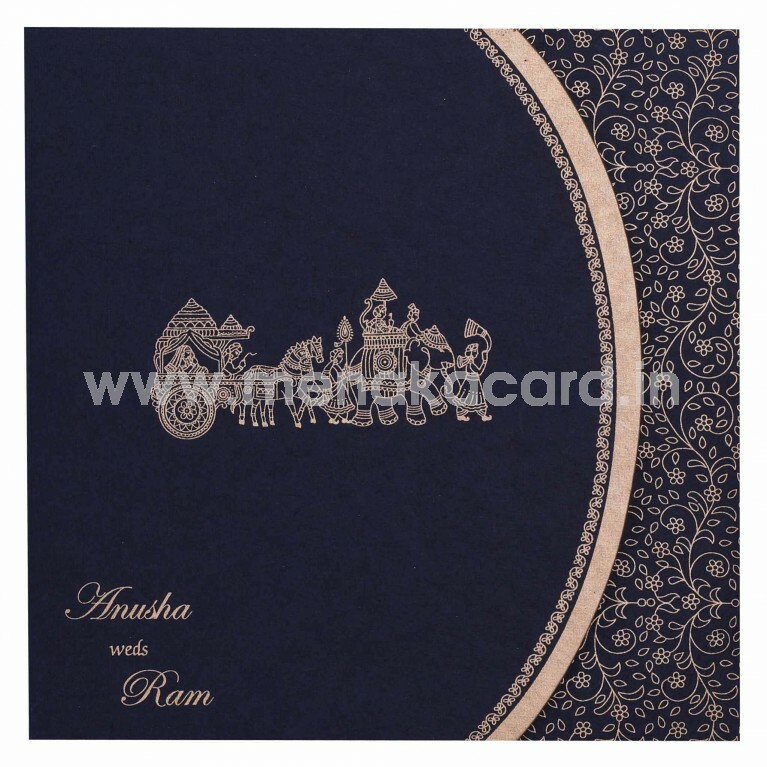 This can be used for Hindu weddings, receptions and engagements as well as upanayanams, housewarmings, puberty functions etc.